Once again I'm asked to provide some perspective on yet another catastrophic situation affecting the North Coast. 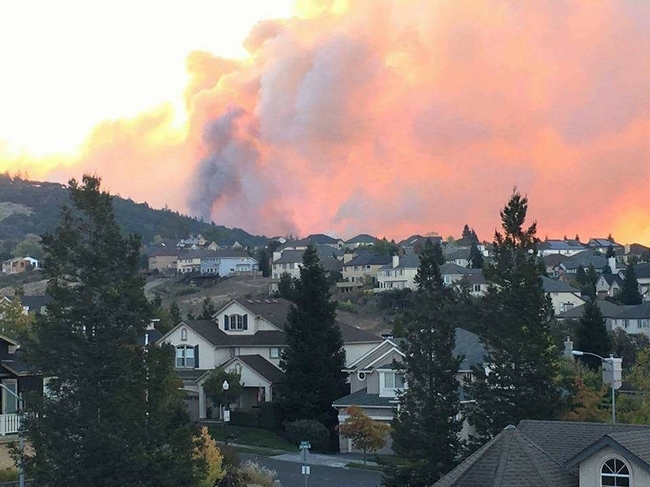 In 2015, it was the Valley Fire. In 2016, it was the Clayton Fire. This year there are so many fires I'm having difficulty recalling their names...14 at last count. The cause for these 2017 conflagrations will be apparent once the elements of the fires are assessed. Tornadic winds hitting 50 mph Sunday, October 8, will most likely have started most if not all. Winds of this intensity can ignite fires by impacting electrical infrastructure by breaking lines and causing transformers to explode. The cause of the fires will come out in time. Thick stands of vegetation, the result of mid-20th century land management practices, years of fire suppression, homes built in rural locations in steep terrain, old legacy roads too small to accommodate modern fire-fighting equipment, and exurban development without the necessary resources to address fire prevention. All this leads to almost impossible conditions to arrest a fire being pushed by wind. I would argue there is no better fire-fighting force in the world than those found in California. What these men and women do is nothing short of extraordinary. But they are faced with an impossible task in the absence of an equally focused program of fire prevention. 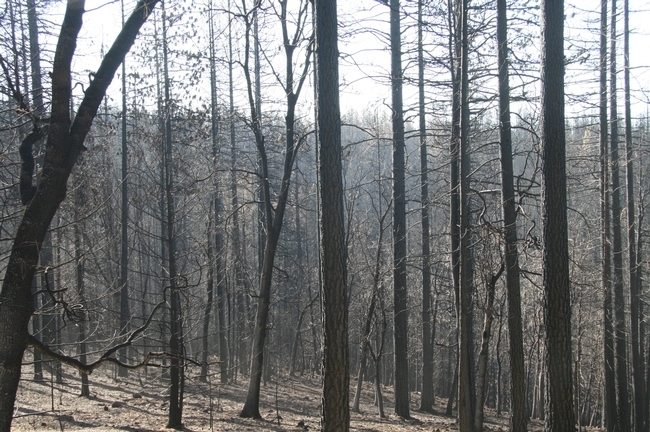 Cobb Mountain after the Valley Fire burned more than 76,000 acres in 2015. UC Cooperative Extension helped replant the area with ponderosa pine seedlings. What have I learned from Lake County as a result of the Valley and Clayton fires? The Lake County fires have provided insights that can help with the recovery and reconstruction of the most recent events. Specifically, resources must be secured to assist landowners and communities in better incorporating fire resilience into local rural and suburban planning and projects, to prepare for the eventuality of another fire by creating and maintaining conditions that allow the fire to be controlled before getting out of hand. Admittedly, the recent fires were wind-driven events that became uncontrollable. However, these fires are the exception to the rule. There are hundreds of fires a year in California that are quickly controlled and extinguished. Fire resiliency must incorporate plans and projects that can address less catastrophic conditions, in the hopes of arresting a fire before it becomes a conflagration. Fire-fighting equipment may need to be scaled to accommodate old, narrow rural roads to improve fire response. 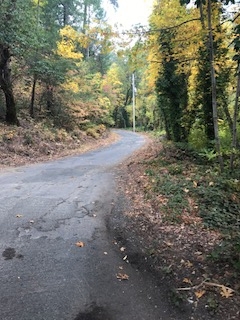 Other aspects for communities to consider when addressing fire resiliency may include fire-fighting equipment scaled to accommodate old, rural roads, resources to retrofit old roads to accommodate evacuees and first responders, and rural lands with poor or non-existent internet service need to re-establish fire sirens to alert residents of impending danger. Local statutes need to establish and enforce vegetation management standards on absentee parcels. And, finally, a sustained dialogue addressing fire resiliency must be incorporated into all land-use planning discussions to help landowners recognize and implement actions to help reduce the risk of catastrophic fire. None of this will be easy or inexpensive. But neither is fighting hundreds of thousand acres of wildland fires every year. Admittedly, the weather conditions responsible for these fires may negate the best plans and efforts. But again, those conditions are the exception to the rule. For every acre burned this year there are ten more, in the same condition, that didn't, providing next year's opportunity for a conflagration. The road forward to address California's wildland fire threat is long, and full of twists and turns. But as with all long journeys, each begins with the first step. Greg Giusti is a UC Cooperative Extension advisor emeritus specializing in forests and wildlands ecology.